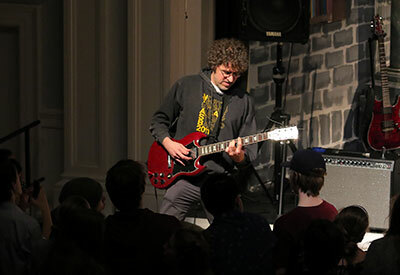 North Yarmouth Academy (NYA) English Department Chair and musician, Ross Markonish (Yarmouth), heads to Russia today with his band, OGRE. The band was invited to play in the 25th Annual International Belomor-Boogie Festival in Arkhangelsk (also known in English as Archangel), in northwestern Russia. 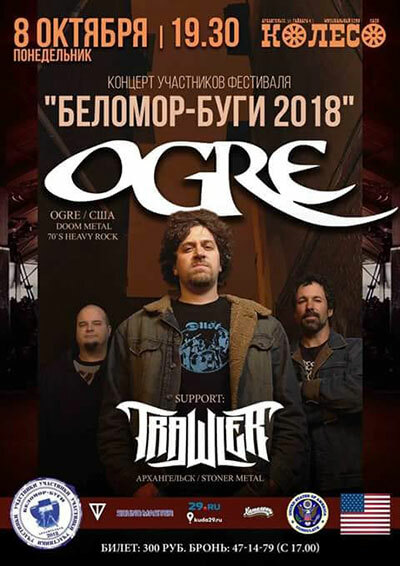 The rock festival takes place on October 6 and 7, 2018, and OGRE will also play at a club while in Arkhangelsk. Coincidentally, Arkhangelsk is one of Portland’s sister cities. The Belomor-Boogie Festival has featured U.S. bands for the past three years. OGRE was recommended by the Portland-based American Heavy Prog band Sunrunner and subsequently invited by festival promoters. Neale Duffett, co-chairman of Portland’s Archangel Committee, helped with the details. OGRE was founded in 1999, and features Ed Cunningham on vocals/bass, Will Broadbent on drums, and Markonish on guitars. Their Facebook page describes that band as doom metal/70’s rock that celebrates “the riffs and glorious self-indulgence of 70’s heavy rock and traditional doom metal, crafting a sound that brought to mind the classic material of monster acts like BLACK SABBATH, RUSH, DEEP PURPLE, and AC/DC.” Metal bands are quite popular in Russia and Scandinavia. This summer, three NYA students traveled to Arkhangelsk as part of a sister city exchange program. Later this month, a group from School 25 in Arkhangelsk will travel to Portland. On Halloween (a day enthusiastically celebrated at the Academy), a teacher from School 25 will spend time at NYA.